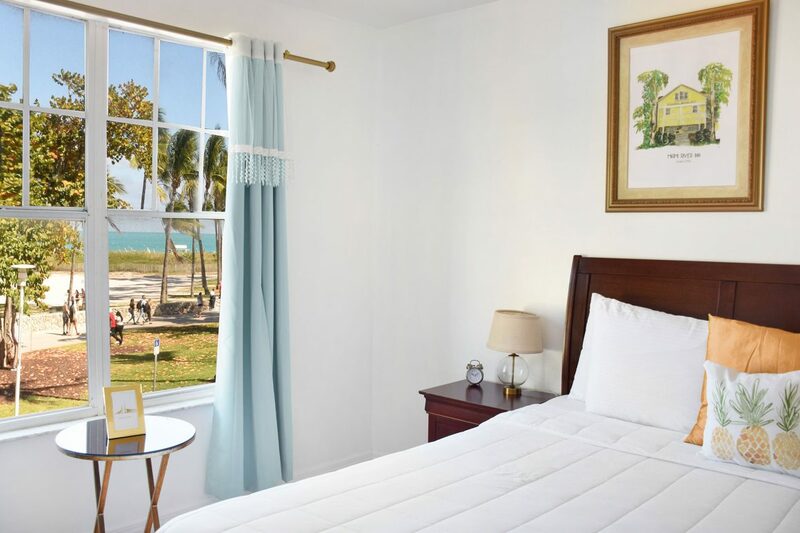 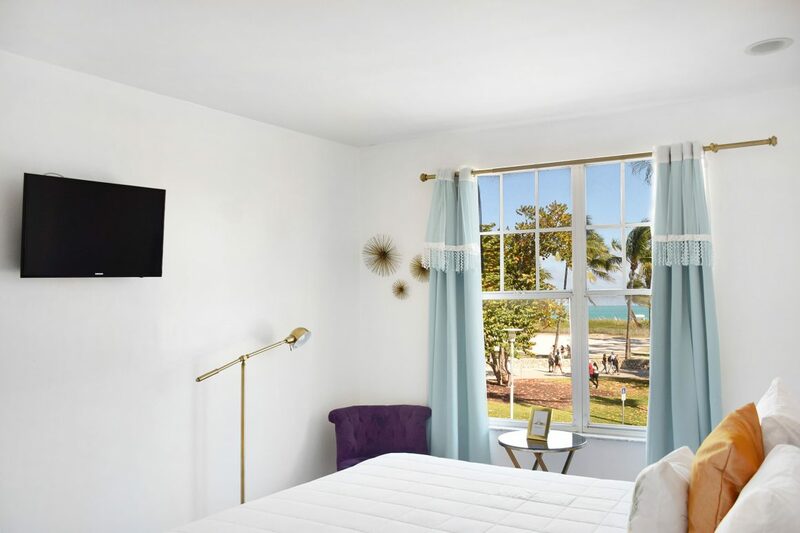 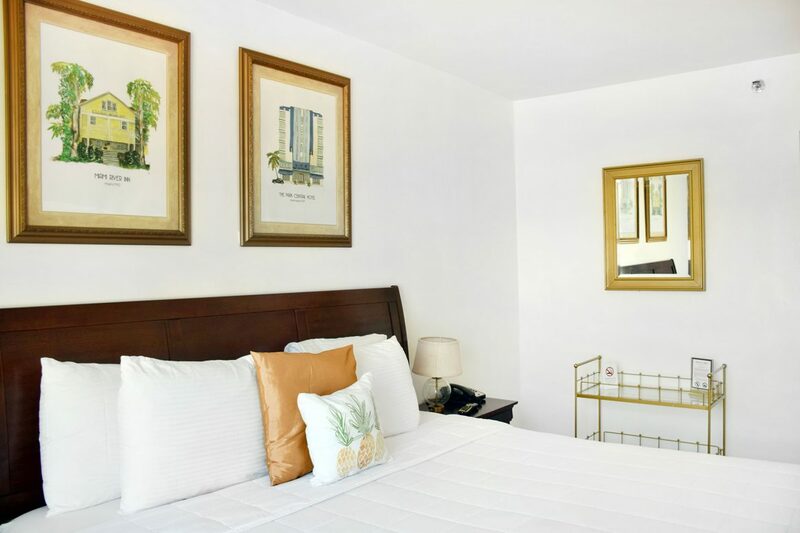 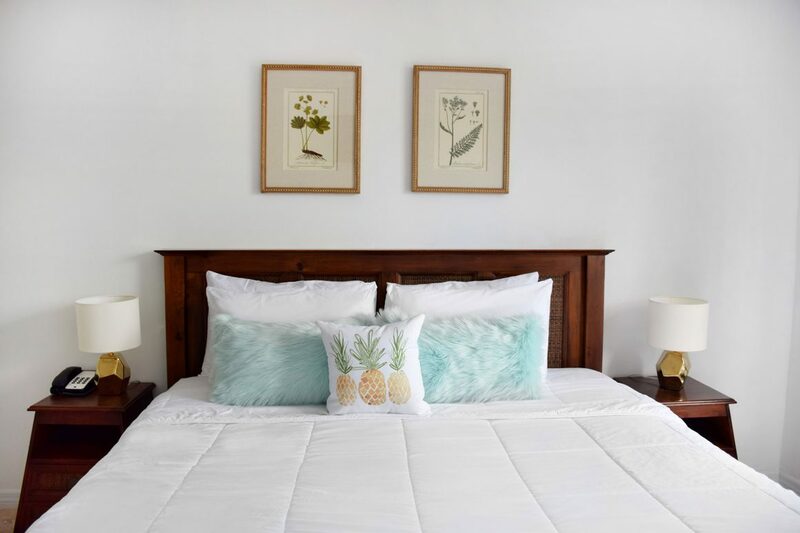 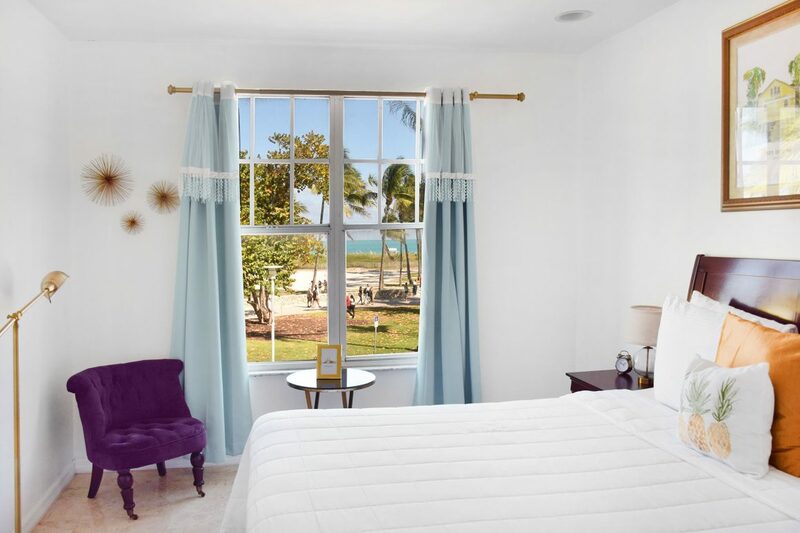 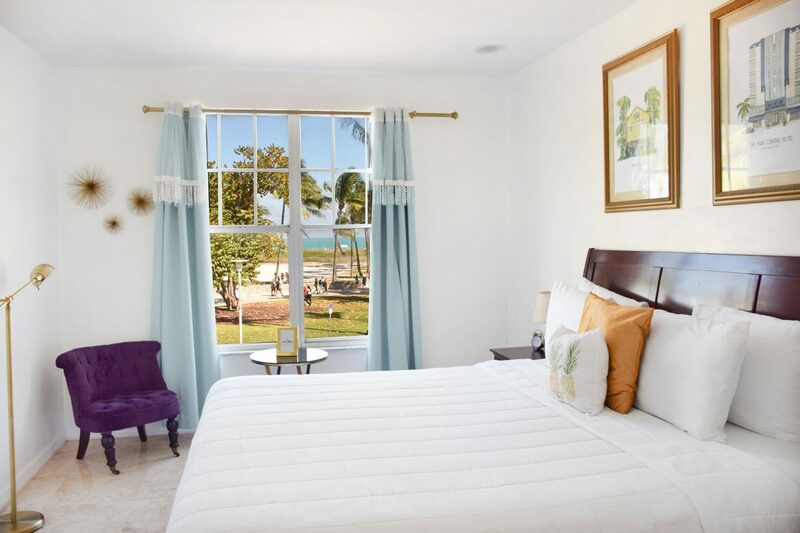 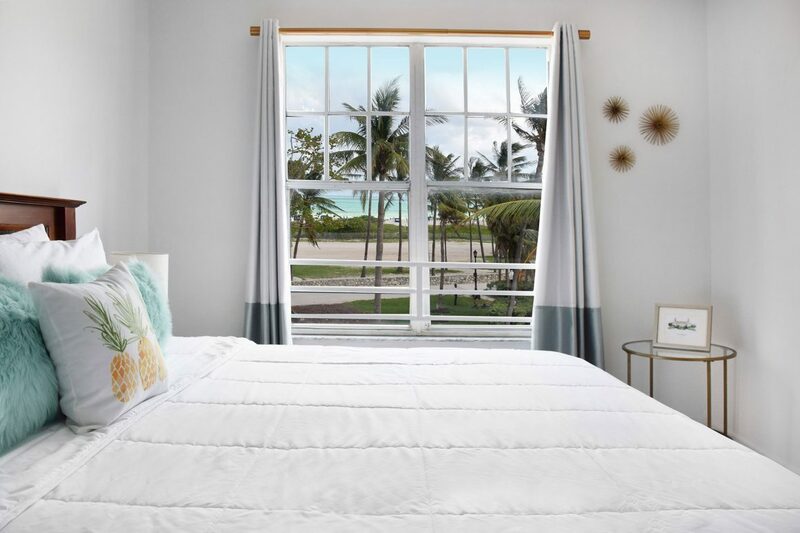 Our ocean front rooms have a beautiful view of the Atlantic Ocean and Lummus park. 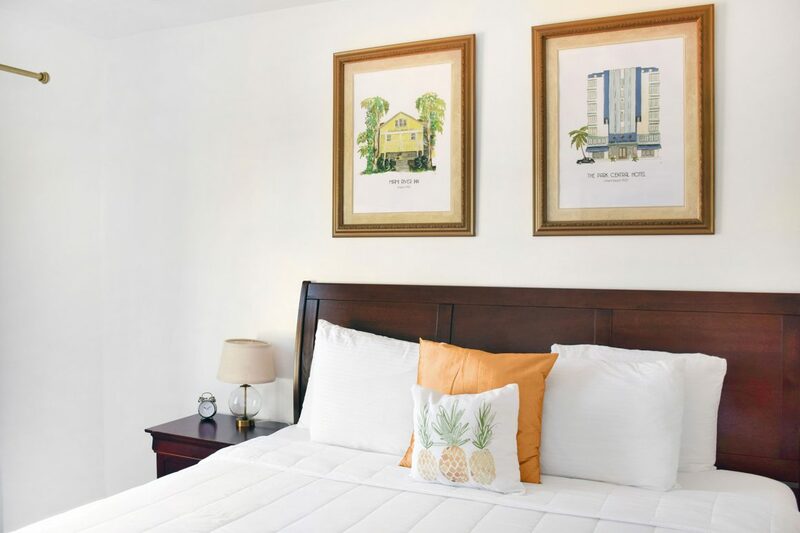 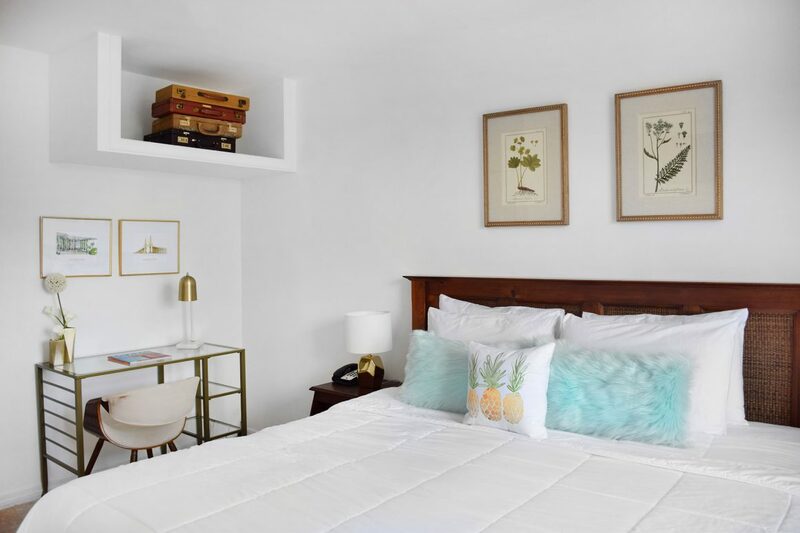 Approximately 300 square feet, the room accommodates One King Bed. 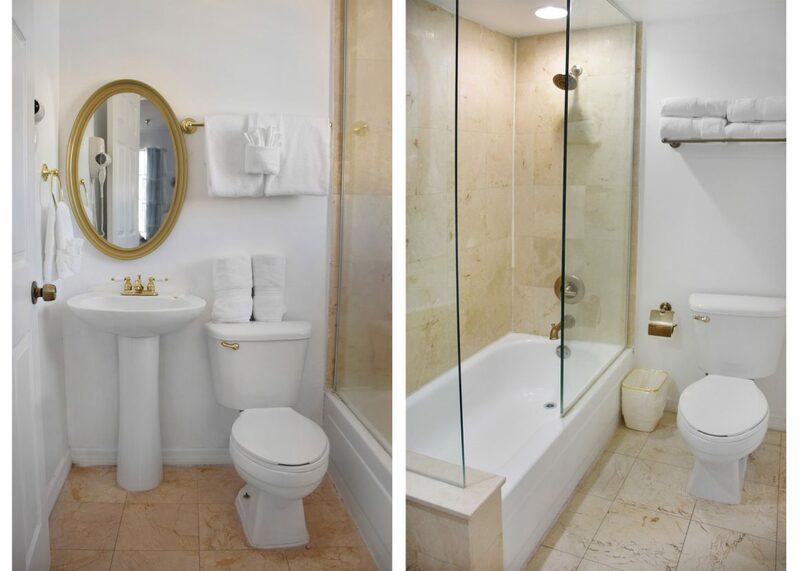 The room boast beautiful marble floors with marble finished in the bathrooms and vanity area. 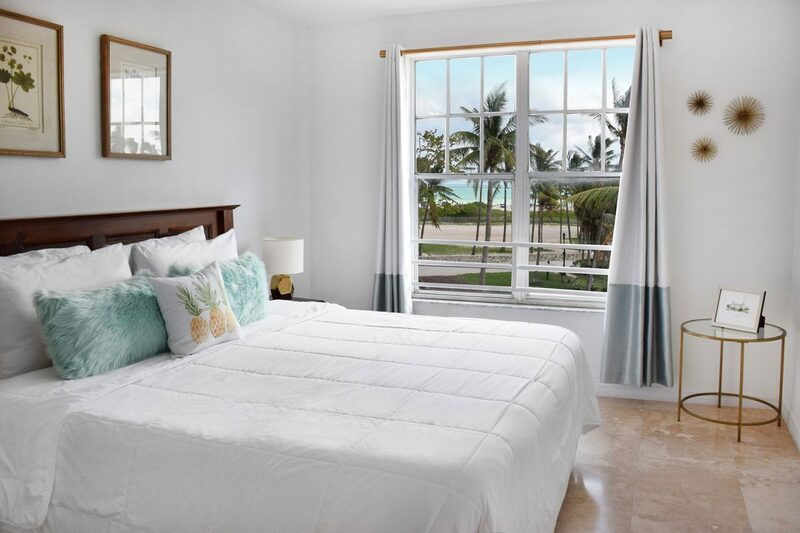 Each unit comes with A/C, mini fridge, a safe, a desk and desk chair. 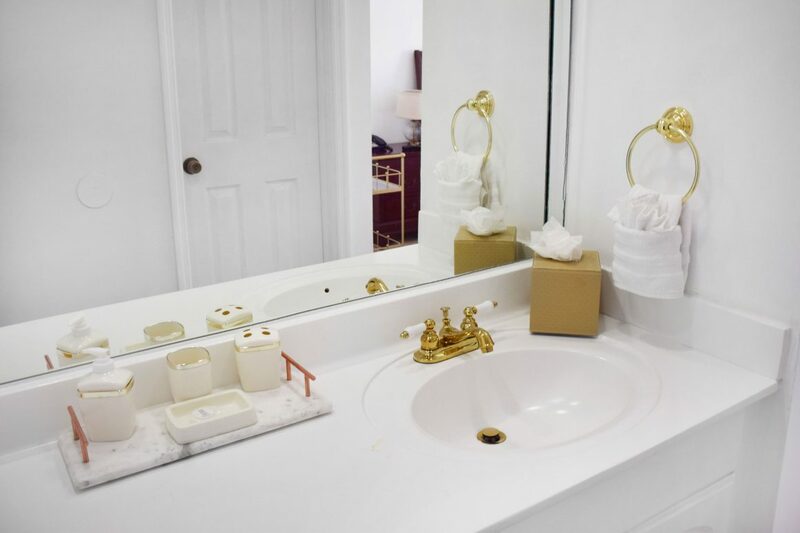 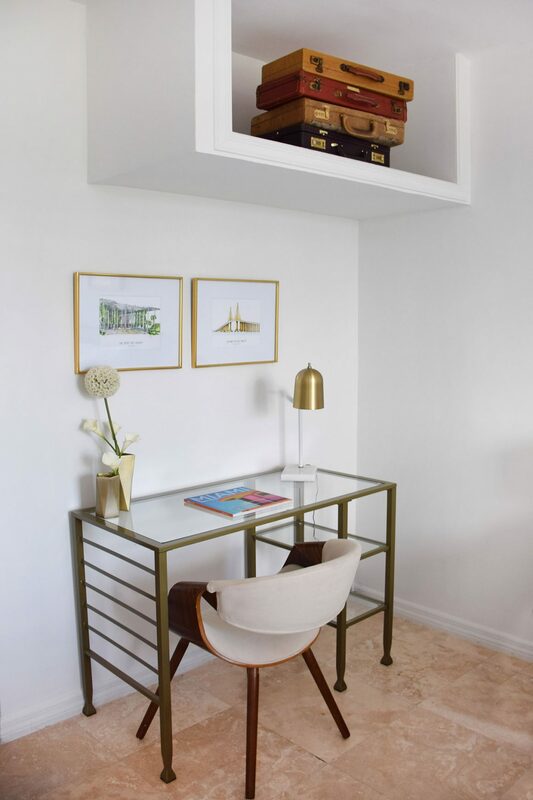 Each hotel room is prepared with with full bath amenities; Flat Screen TV, Wi-Fi, hairdryer, Iron and Ironing Board.